What foe can defeat the people of God? None! 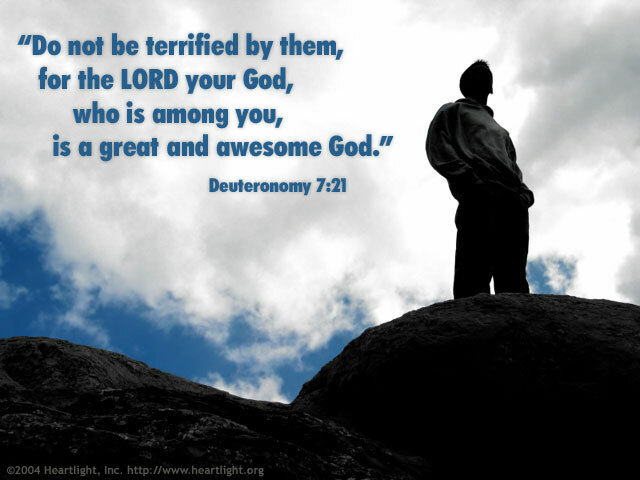 Our God, our Deliverer, is mighty in power, awesome in holiness, and greater than any of our foes. We refuse to fear what the evil one threatens because our Savior has already ultimately defeated him. Abba Father, calm my fears and sooth my anxious heart. By the power of your Spirit, please bless me with boldness and confidence as I seek to live for you in a world that is often hostile to my faith and opposed to your values. I ask this in the name of Jesus. Amen.